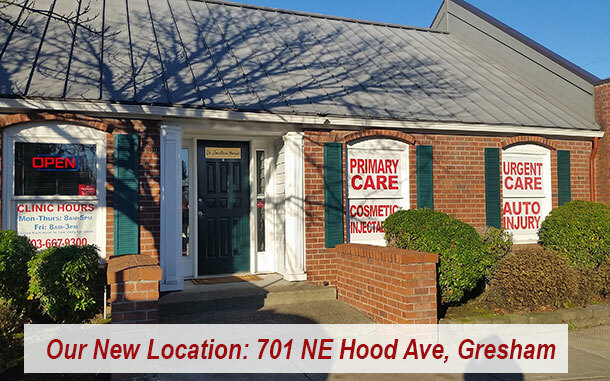 Primary Care Clinic in Gresham Oregon, serving East Portland, Rockwood, Happy Valley, Troutdale and Sandy Oregon. If you are looking for a primary care physician in the Gresham area, Dr. Hansel is accepting new patients. Whether it’s time to get a check-up and some lab work, or you need to be seen for chronic conditions, Dr. Hansel can help. We have appointments available in our primary care clinic Monday – Friday and can usually get you in to see the Doc within 24 hours. After you have made an appointment, you can click on the intake forms tab above and fill out your intake forms and submit them online, or print them and fill them out the old fashioned way. We accept Credit Cards, Debit Cards, and Cash. Sorry, we do not bill insurance.